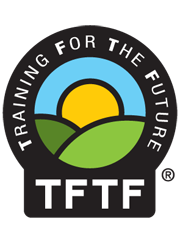 If you work within the gardening, growing, grounds keeping or maintenance sector TFTF (2008) Ltd can provide you with the training you need. Our courses cover a range of areas so you can develop your skills, extend your customer base and increase your personal value as well as your profit. If you are unsure which course you need, just contact us for an informal chat, our advice is free. Our training is designed for those working within the horticulture and landscaping industry or individuals who have a passion for horticulture and want to ensure they are operating in a safe and efficient way and learn from our highly skilled team of instructors. Many of our courses cross a number of sectors to include agriculture, forestry and other land based fields. The Provision and Use of Work Equipment Regulations 1998 (PUWER) require employers to provide adequate training and to ensure that chainsaws and related equipment are operated only by employees who have received appropriate training. Statistics show that business’ who train their staff are two and a half times more likely to succeed then those that don’t. So whether you want to get training to give your career a boost or keep your employees safe, TFTF (2008) Ltd can help.